It is well known that selling retail skin care products can have many beneficial impacts for your medical spa practice. It is also well known that these products can improve the results of many medical spa treatments. Now that these facts have been established, how do you go about selecting the products you are going to recommend to your patients? With so many available options, it can seem incredibly daunting to decide on the right products for your practice. Similar to any treatment you offer, it’s important to choose a skin care line based on provable outcomes for your patients. Make sure the benefits of the products you recommend to your patients are based in science and not just marketing. Candace Noonan of Environ Skin Care warns that consumer brands are starting to market directly to consumers based on legitimate ingredients, such as hyaluronic acid and retinoids. It will be up to you to discern the fluff from the fact and educate your patients on why a medical-strength skin care product is more effective than something available over-the-counter. Skin care products can be effective as a home anti-aging treatment on their own, but it’s also important to choose products that boost the effects of the procedures that you offer. When speaking with your vendor, make sure to ask them not only how their products work, but how they might work in conjunction with the treatments you offer to give your patients the best results possible. Private-labeling a skin care line can provide a powerful way to increase customer retention as long as the product is proven to work. It strengthens brand awareness and keeps your clients coming back to you instead of trying to get the product cheaper online. Bringing a branded line into your practice also comes with a wide array of benefits including product training for your staff, marketing support from the skin care company and increased authority in your product if the patient researches the brand on their own. Ultimately, the choice is yours on which of these options you explore. The key is to do your research and understand what will give you, your business and your patients the biggest benefit. For more information on choosing the right skin care for your practice, attend the Medical Spa Business Summit at the Face & Body Spa Conference and Expo Northern California or Southeast and find your next skin care partner in the conference’s exhibit hall. 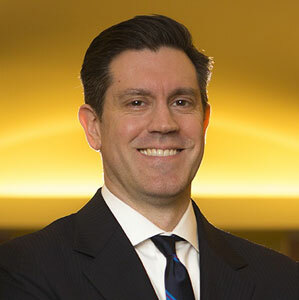 Alex R. Thiersch, J.D., is the founder and director of the American Med Spa Association, an organization providing legal and business resources to medical spas and medical esthetic practices. As a lawyer, he specializes in representing plastic surgeons, medical spas and esthetic professionals on the relevant laws and regulations affecting the medical esthetic industry.